The FIM, Dorna and the MSAM (Manufacturers association) have announced that they have in place a framework for new Superbike technical rules. These changes have arisen from discussions with all the parties involved including manufacturers and component suppliers and aim at capping the ever-escalating cost of racing in WSBK. While the exact details are still being drawn up, the gist of the changes involve a fixed cost for the base motorcycle that would be lower than the current cost and a limit on the number of engines that a rider can use for the season. This means, and all constructors have agreed, that they will have only a set number of motorcycles available each year in the same state of tune for the championship. Also on the list of items whose cost will be capped are suspension, brake and gearbox components. This, in theory, should reduce the cost for privateer teams but until the details are published by the FIM, it is unclear how the factories would be restricted from development of electrical components and running gear. This seems like a smart move on the part of Dorna as it will widen the reducing gap in performance and lap times between WSBK machines and the pinnacle of two wheeled racing that is a MotoGP motorcycle. 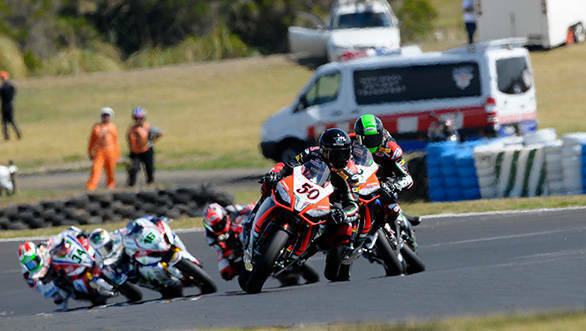 It will also be interesting to see if the regulation will bring the premier production-based race series closer in terms of regulations to national-level race series like BSB (British superbike series) and AMA Superbikes (American series) that have to run on much smaller budgets. This could allow local riders and teams to compete in WSBK events at their local rounds as wildcards riders. Not too long ago, it wasn't uncommon to see national level riders competing for podiums and wins at races at Brands Hatch and Donington Park. In addition to swelling numbers on the grid, this would definitely add to the spectacle and might just add a few more numbers to the stands as well.